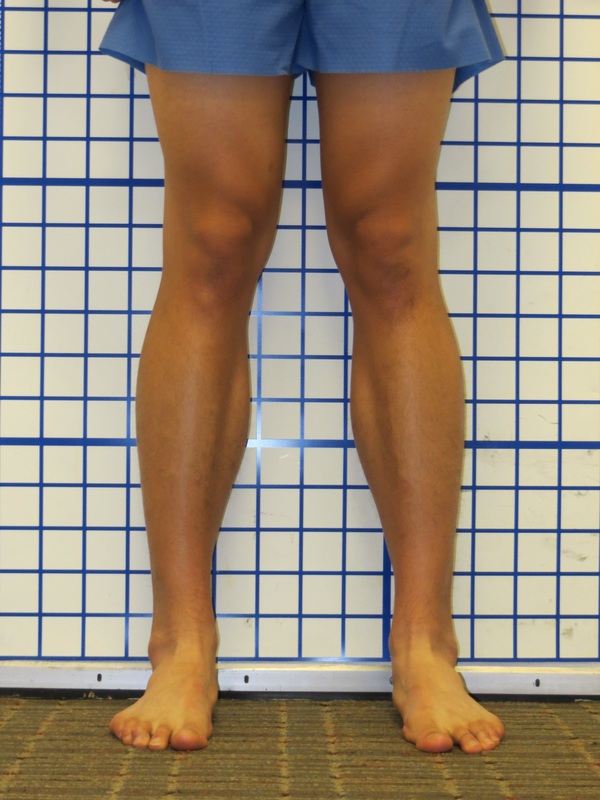 Yang is an athletic young man who was having difficulties related to his knock-knees including pain and awkward gait. 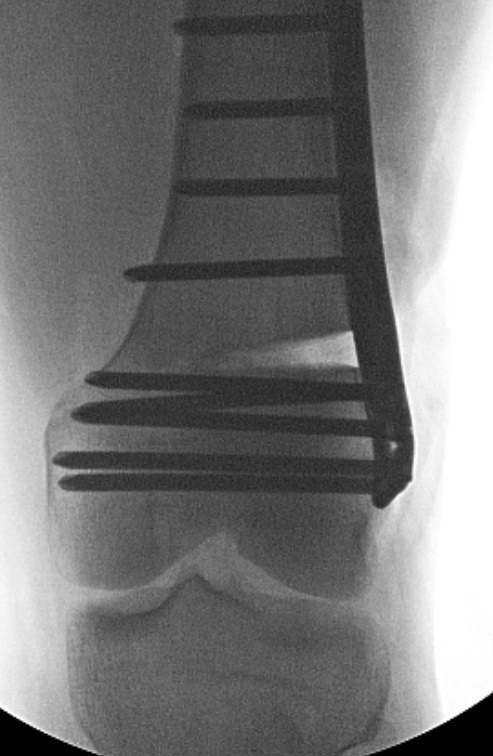 He was also concerned with the aesthetics and about further degeneration of the knee in the future. Staged bilateral surgery was performed. 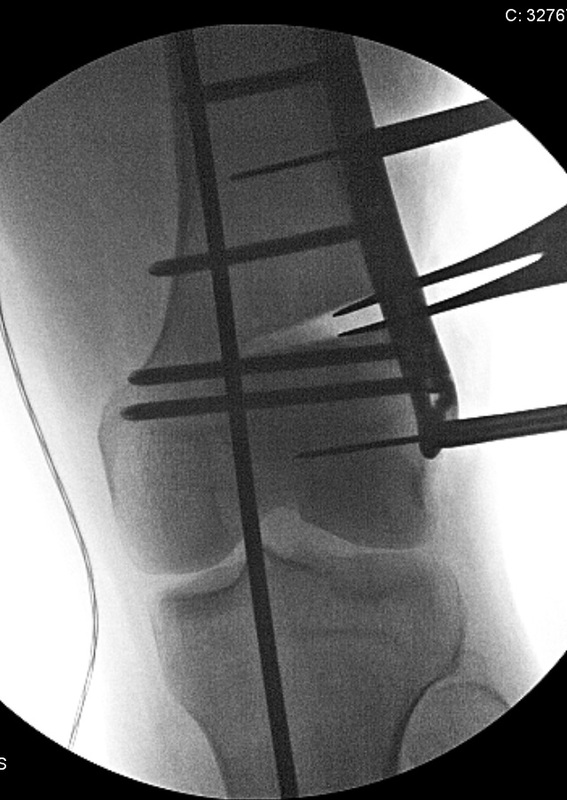 Crutches were used for 6 weeks after surgery, and then he began normal walking. Now with well healed bones and straight legs, Yang has improved his athletics and is without pain. He is very happy with the new appearance and is pleased that the normal alignment helps protect his knees from developing degenerative arthritis in the future. 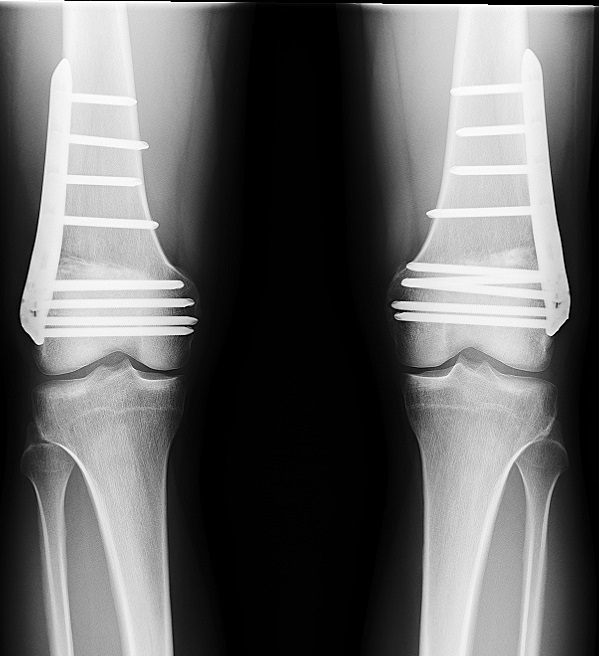 In the staged bilateral surgery, the left side was approached first with an open wedge osteotomy. A partial bone cut was made and the lateral cortex was shimmed open (Figure 4). 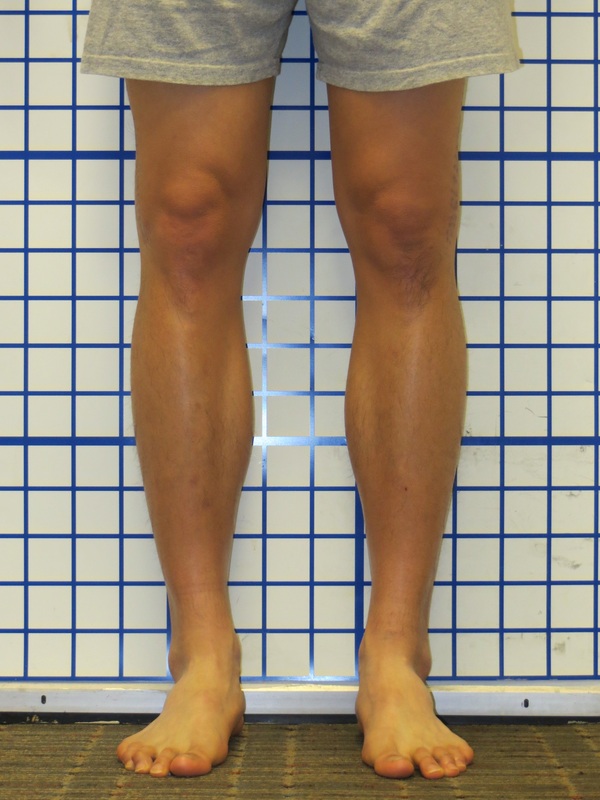 The alignment was checked in the OR (Figure 5). 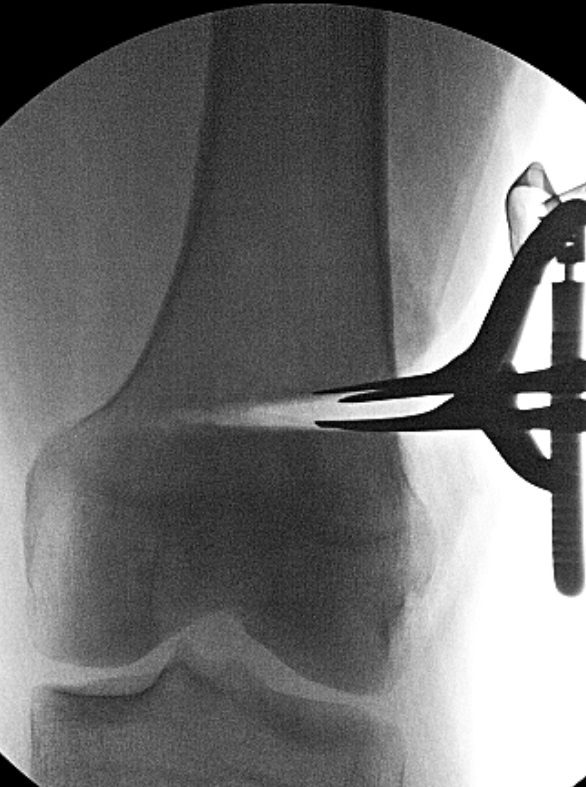 The new position was secured with a titanium plate (Figure 6) and the space was filled with synthetic bone graft.